The app marketplace for Firefox OS has finally been revealed in a series of leaked images. Although developers have been sinking their teeth into Firefox OS and all that comes with it, there's been little word on what the mobile operating system is to look like. We know it is an update to the company's Boot to Gecko software but the leaked pictures show a storefront that's wholly different from what has come before. For a start, it looks nice and simple. Oh, and did we mention simple? At the top of the leaked screens, there are a number of apps to choose from – Solitaire makes an appearance – while underneath these apps are the categories. The categories on show are: Books and Reference, Business, Education, Entertainment & Sports, Games and Health and Fitness. It's certainly not as flashy as Google Play but is a decent, functional approach to app discovery. Interestingly, the Firefox OS Marketplace looks nothing like the app store that currently resides in the desktop version of Firefox; it seems that Mozilla is treating them as wholly different beasts. 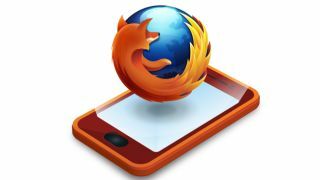 Handsets brandishing Firefox OS are set to land in 2013, so expect more leaks and hopefully some official shots in the coming months.